Nigel is one of the founders of Azuri where he is responsible for Product Development and Manufacturing. Prior to this he spent the best part of 30 years in the automotive electronics industry, much of the time with Jaguar Cars and in various roles with Motorola in the UK, US and Germany. 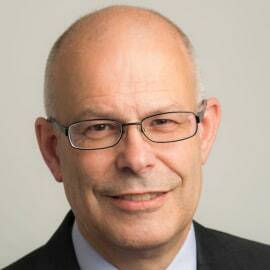 Nigel is a Chartered Engineer and holds a B.Eng. and PhD in Electronic Engineering from the University of Liverpool. He is currently chair of the GOGLA Technology Working Group.